If you love piano and singing, tonight you can follow some melodic paths. 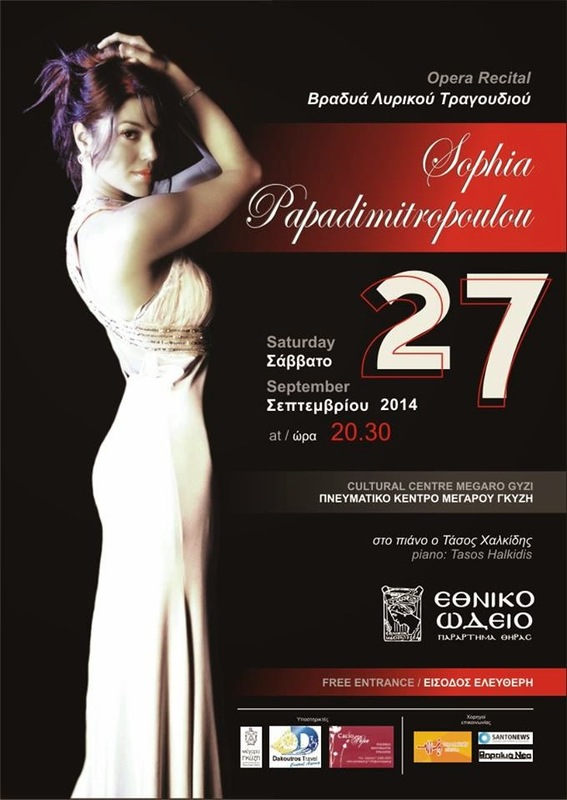 The National Conservatory of Thera instructor, soprano Sophia Papadimitropoulou, together with pianist Taso Halkidis, will lead us to an evening opera recital. Their repertoire is full of classical tunes, even up to sensual bel canto. The concert takes place at the cozy and atmospheric Cultural Center Megaro Gyzi, in Fira, at 20:30. Entrance is free.